Located a million miles from the Michigan motor city, London-based imprint Third Ear has nevertheless done a tremendous job of disseminating Detroit house this side of the pond. The Hackney label has gone from strength to strength over the last 13 years and, back in 2009, shrewdly nabbed South London talent Wbeeza – pronounced ‘double-you-beeza’ (who knew?) – his raw, often jazzy beats a perfect fit for the transatlantic imprint. 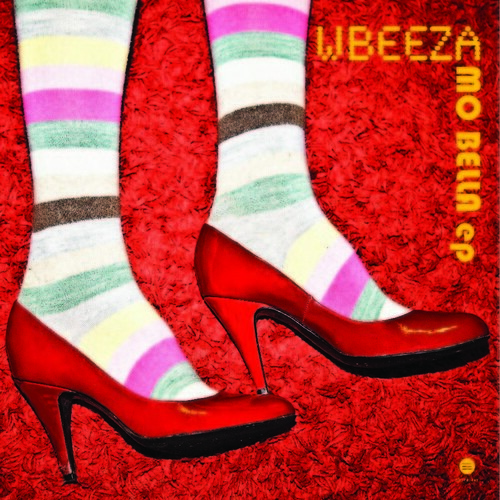 Following the clinking tribal minimalism of 2012’s ‘Peckham Fly’, Wbeeza serves up a four-tracker that leans heavily on those two longstanding Detroit staples: tough robotic beats and a proclivity for jazz. Opener ‘If U Believe’ is a fantastically sturdy cut, full of jittery drum-machine programming skipping about a familiar 90’s female vocal hook. ‘Wacky Racers’, as its title suggests, is the curveball of the bunch, a heavy, wonky piece of lo-fi techno, while ‘Wise Root’ is a ruthless exploration of the more brittle textures of techno percussion. The highlight of the EP, however, is saved for last. ‘Mo Bella’ is live swinging, piano-jazz with a choppy groove and relentlessly looped soul snippet. With all its Detroit-inspired elements, it’s the kind of tune that in the wrong hands could sound horribly formulaic – one refreshing twist is the intriguing mid-track EQing. A blinding release that further cements Wbeeza as the unsung hero of the house scene.